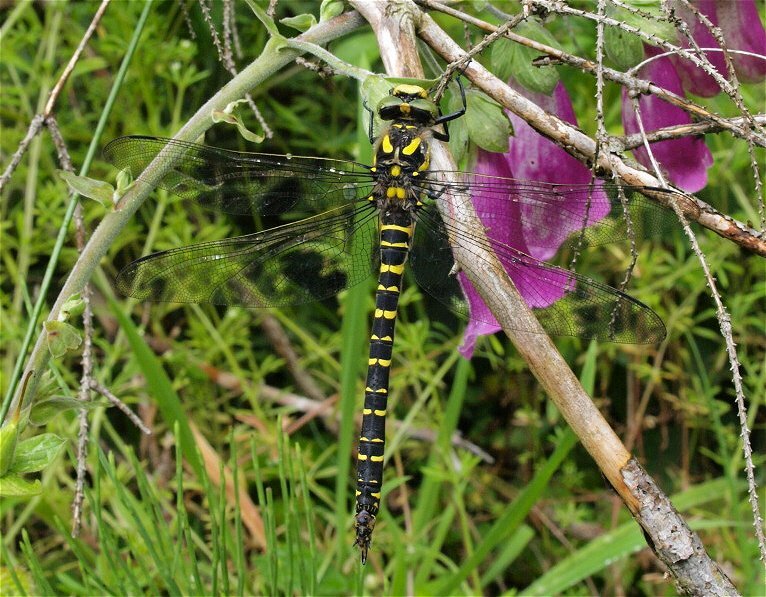 Predominantley black species, with yellow thoracic stripes and antehumeral stripes on the thorax, with yellow rings around the abdomen, slightly swollen towards the tip. Green eyes. Female Southern Hawkers sometimes confused with this species. Predominantley black species, with yellow thoracic stripes and antehumeral stripes on the thorax, with yellow rings around the parallel sided abdomen, ovipositor extending beyond segment 10. Green eyes. Female Southern Hawkers sometimes confused with this species. 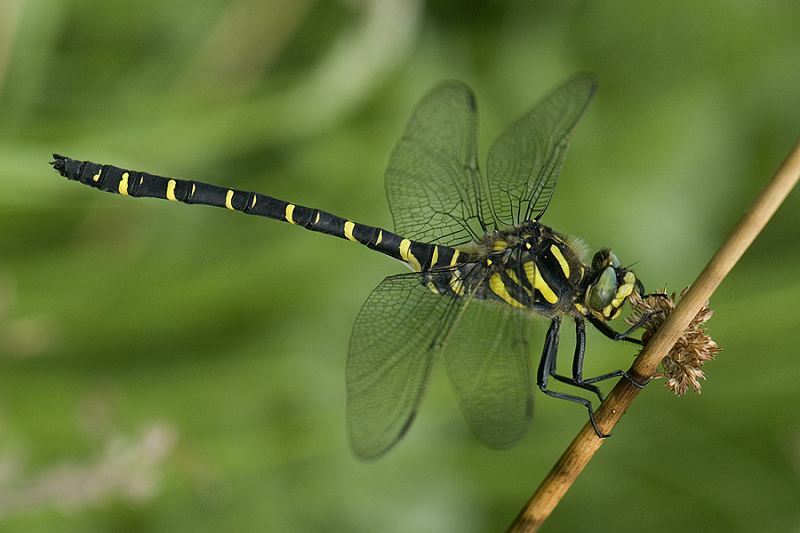 Black with yellow markings, as rings on abdomen; eyes greenish; legs black; female has sharp ovipositor; wings clear with leading edges (costa) yellow. Streams and rivers with silt, gravel or stone base in upland areas or lowland heath. Eggs laid in bed of stream, etc. Larvae 2-5 years. Early June to end August. 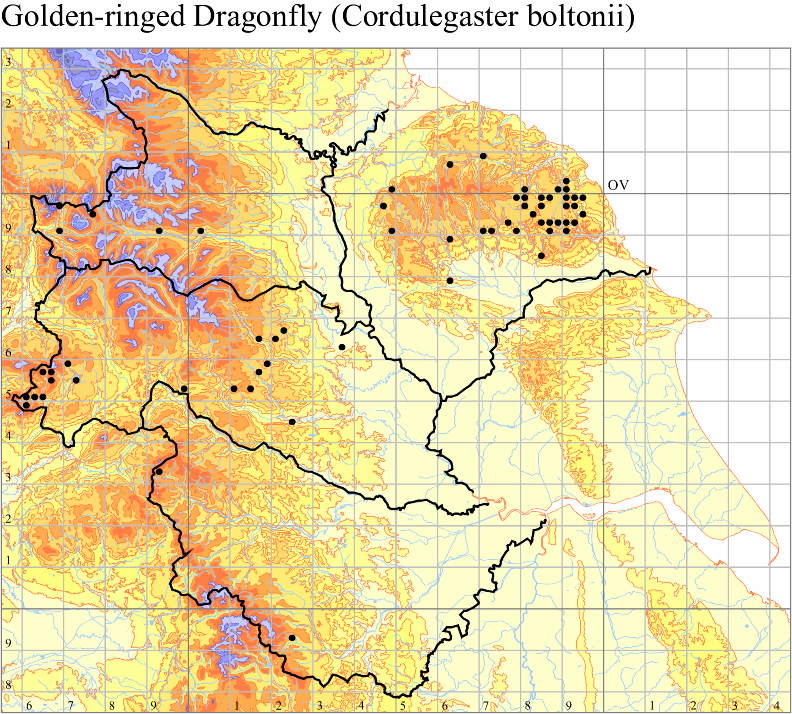 Basically a moorland species hence found chiefly in western side of Great Britain. Colonies present in North Yorkshire Moors. Occasional specimens seen in East Yorkshire are presumably vagrants. Has been recorded at Tophill Low and Flamborough Head.